Upcoming competitions to be announced soon. 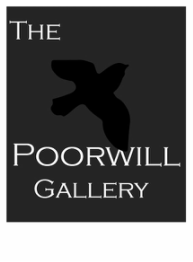 The Poorwill Gallery Online is accepting entries for our Pinhole Photo contest. Images must be created using a pinhole camera. Please submit 1-3 quality images via email. Please attach photos via zip file as jpg images with 300 dpi. Please include in the body of your email a brief bio, permission for your image to be posted on our website, image list and artist's statement. Additional images of the pinhole camera(s) used are also encouraged. The deadline is Oct 1, 2013.